By now many of you have been playing SWTOR and hopefully having as much fun as I have had so far. Despite a few minor issues with downtime for an extended maintenance, thus far, this has been a very smooth launch for such a huge game. Yes, there are still bugs and some issues needing to be patched, but all in all I feel it has gone well. What has your experience been like? A reminder, CRR is having a contest! Create a character profile and you might just win a Razer peripheral. Make sure to read all the details here and get your submissions emailed by Jan 1st, 2012 at 11:59pm CST. There is only one entry per person. Lots more in today’s HoloNet Links after the Jump. Here is a link to the latest patch notes. If you would like to read more about the patch and what it means, check out CRR’s very own Mark and his article about the patch from this past week. GeorgZoeller PvP -> Healing reduced by 30% in pvp. WHY!? Trauma is there to prevent healers from being overly powerful. They could just nerf all healing by 30% but that means it affects PvE healing where they have obviously deemed healing balanced. A healer should make someone live longer, not forever. That’s pretty much it. The trauma debuff is used to offset PvP and PvE group balance involving healers against on the PvE balance numbers numbers. We could also just change the numbers (health, damage) in the rest of the game to achieve the same effect, but that’d be much less efficient. 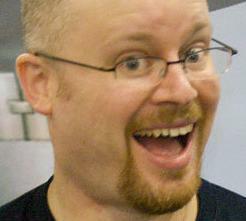 AllisonBerryman General Discussion -> Bioware leaving their players in the DARK. Hello everyone! We are always reading the forums and working to get responses for topics that are important to you. Your feedback is extremely important to us! To make sure you don’t miss out on any of our communications, we recommend checking out the Dev Tracker frequently to see the most recent posts from the Developers and the Community Team – you’ll often see responses to concerns and helpful information there! We work to make informational posts as frequently as possible, such as this sneak peek at upcoming content from James Ohlen. 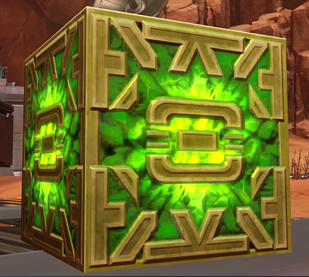 We also use our community blog (at the top of www.swtor.com/community) to highlight information we think is of significant interest to the community. For instance, we currently have information about our most recent patch highlighted for community members in the blog. Thank you all for providing your feedback on the game, and please continue to do so – we will continue to work to bring you information, updates, and responses to your concerns as quickly as possible! Viewing all of your own posts is a function of the search feature, which is currently disabled. We understand the inconvenience that this causes and will restore it as soon as possible. In the meantime, thank you for your understanding! AllisonBerryman General Discussion -> New Color Unification system? Hi Zarram! You can find the information that is currently available about this topic in our community blog post “Why ‘unify color to chest piece’ is gone, and what’s next.” This blog explains more about the feature, and though we don’t have a timeframe at this time for what’s next, it is definitely a topic we know is important to you! We recommend checking out all our community blog entries (and checking frequently for updates) for info about important topics like this! Have you been busy leveling up your character or taking on another Flashpoint or maybe busy taking on the other faction in the different Warzones & Huttball, and possibly missed some stories or news from the past week…Don’t worry we have all your favorite Corellian Run Radio articles and news stories listed below. Reddit had a very straight-forward and interesting interview with the Senior Community Manager for Star Wars: The Old Republic, Stephen Reid. Questions ranged from how to get a job at Bioware to those about the Legacy system’s future, as well as future SWTOR content…not that Stephen was able to answer all, but you can sift through and find lots of interesting “tid-bits” and hints. You can read through the entire interview here from Reddit’s site. Below are a couple questions and answers I found interesting. After reading the interview, what ones did you find or think are important for the future of the game? Let us know below in the comment section. Q: Is there any information you can provide regarding the user interface in terms of making it more user friendly or with more customization options? Q: Do you think that alternative specs will be allowed at some stage in the future? Also, legacy system, any further insight you are willing to share with us at this point in time? In the following link, on Star Wars: The Old Republic official site, you can read about the fast start SWTOR has gotten off to in just its first week or so. Looking at the sheer numbers is very staggering…60 million in-game hours, just for an example!! The numbers do not stop there, as it has set the mark very high for future MMOs in getting over a million subscribers so fast. Some are calling SWTOR a WoW “killer.” Personally, I do not think it will “kill” WoW, but its numbers have to be having an impact on WoW subscriptions. SWTOR had one of the smoothest launches of a game this size that I am aware of, especially in the MMO genre. What do you think about the numbers and how do you think Bioware is doing with SWTOR? In the comment section below, let us know your thoughts or how you think Bioware could improve. If you are playing on the game server TheShadowlands, you might want to join up with the guild Old Republic Dads on New Year’s Day at 2pm CST for a Datacron Crawl. Everyone will be meeting at the Jedi Temple on Tython. If you still need some help finding some Datacrons or just looking to join up and have some fun, be sure to mark your calendars. 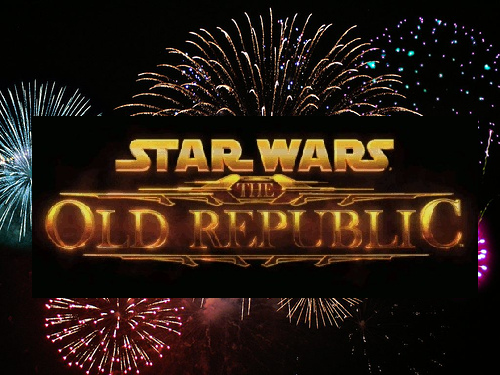 For more information you can reach their guild via their Twitter account @oldrepublicdads or the Old Republic Dads website. That’s all this week from the HoloNet Links. Wishing everyone a very safe and happy New Year! What sort of plans are you making relating to SWTOR? Maybe you are having a guild event or even maybe a server event, if so let us know in the comments below.